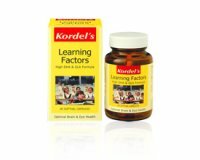 Kordel’s Learning Factors is an advanced combination of DHA-rich tuna fish and GLA-rich evening primrose oil to assist optimal brain performance. Most children cannot produce sufficient quantities of GLA and DHA from the diet for optimal health due to genetic limitation, nutrient deficiency or blockage by other dietary factors. 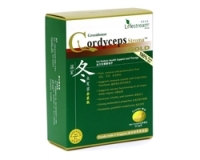 Kordel’s Learning Factors is an ideal way of obtaining these important fatty acids. Children under 5: Take 2 capsules a day, pierce and squeeze contents into food.